Survival games are all the rage these days and they’ve all sort of blended together at this point. In order to stand out they have to do something different, which is exactly what Subterrain does. 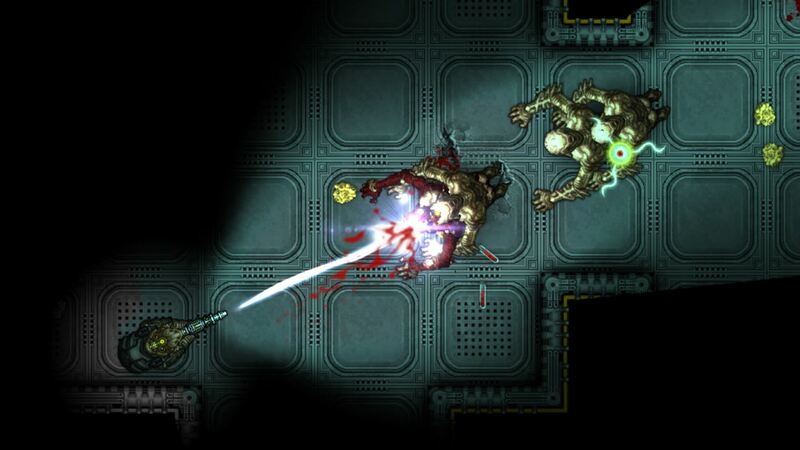 How does top-down, sprite-based, sci-fi, survival horror on Mars sound to you? That description definitely got my blood pumping, which is why I wanted to review it, and I’m glad I did. It handles survival in fresh and interesting ways, is genuinely creepy, and looks and sounds pretty gorgeous all around. 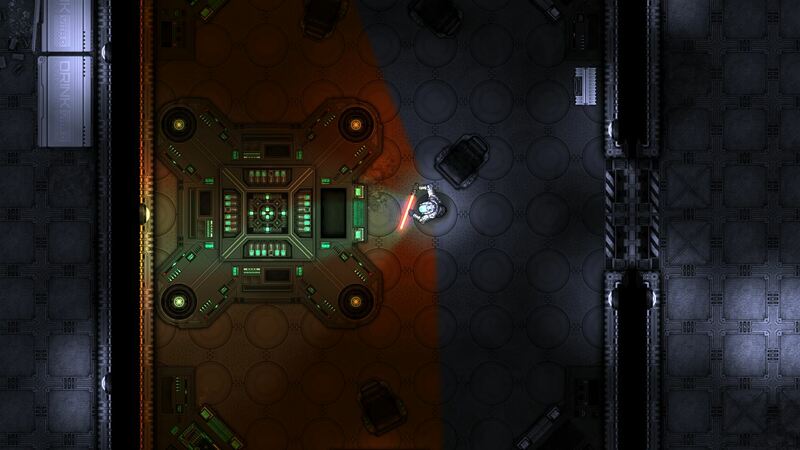 It comes with a pretty steep learning curve, but Subterrain is worth a look. See our full review for details. Subterrain takes place at a colony on Mars that has been overrun by a terrifying infection that turns people into monsters. You play as a former doctor who, after an accident, was put in prison and charged with murder and wasn’t evacuated with the rest of the people when the infection hit. 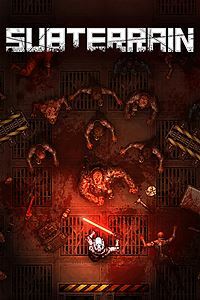 After breaking out of your cell you are then free to explore the colony to not only try to escape, but figure out what really happened and see what you can do to fix it. The gameplay in Subterrain is fairly similar to other survival-style games. You have to find food and water, weapons and armor, and can craft new items with the junk you find. In addition to managing thirst and hunger you also have to monitor body temperature, sleep, your hygiene, and even go to the bathroom when the need arises. All of these things to keep track of and stuff you have to do means that Subterrain is kind of overloaded with mechanics and subsystems to keep track of, which makes it pretty difficult to get into at first. The game overwhelms you with tutorial after tutorial after tutorial – all giant walls of tiny text - for the first solid hour and it is, honestly, kind of off-putting. If you can get through the tutorials and wrap your head around all of the subsystems and mechanics, though, Subterrain is an incredibly engrossing and satisfying survival game with a horror twist. At first your priority is restoring power and finding weapons and items and survival tools in mostly safe-ish rooms. As you explore more and more you start finding rooms full of enemies and contamination and have to start really considering risk versus reward. The longer you wait to tackle tough sections, however, the more the infection spreads and the more dangerous the enemies become, so you really have to think about every move you make because everything has consequences. Heck, even turning on life support / heat in certain rooms is a gigantic risk because it actually promotes the growth of the contagion making the room even more dangerous even if the environment is easier for you to survive in. Everything has consequences, and that is kind of awesome. Gameplay takes place from a top-down perspective and the game controls a bit like a twin stick shooter. You move with one stick and look / aim with the other stick, so it is fairly straightforward. There is a wide variety of weapons to find and upgrade and hidden items tucked away all over the place, so exploration is very satisfying. The levels are procedurally generated, too, so the game will change every time you play it. There are multiple difficulty options, including a permadeath mode, which keep things interesting as well. While Subterrain is definitely a horror game, I wouldn’t necessarily say that it is scary. The game has a very creepy atmosphere with fantastic sound effects for creatures and the colony rapidly deteriorating around you, and the lighting reaches just far enough you never know what to expect. You never know what is lurking around the next corner or in the next room, and because basic survival is such a vital part of the game, wanting to keep your character alive is where the fear factor comes in. This is pure survival horror, but done from a fresh and unique perspective. The presentation in Subterrain is pretty nice all around with an appealing retro visual style paired with a modern soundtrack. With that said, the rooms and corridors you explore do have a bit of a repetitive look to them, which can make exploring harder since it isn’t always easy to tell what you have and haven’t already seen, but you figure it out. The music similarly is good, but there aren’t enough tracks so you can get tired of the main theme pretty quickly. All in all, though, Subterrain is a fresh look at the ever-popular survival genre that even adds some survival horror to the mix to really make things interesting. It can overwhelm you with subsystems, even more so than a typical survival game, but if you stick with it you’ll find a satisfying and fun new experience that genre fans, as well as sci-fi / horror fans, can really sink their teeth into.